A large part of what my lab does is chemical ecology of insects. 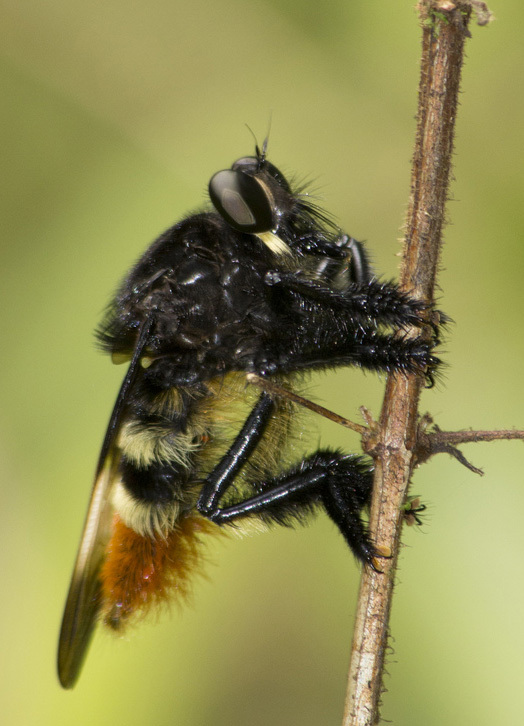 We study the chemicals that mediate communication, defense, and foraging of all kinds of insects. Orchid bees are amazingly beautiful insects, often iridecent or boldly striped. 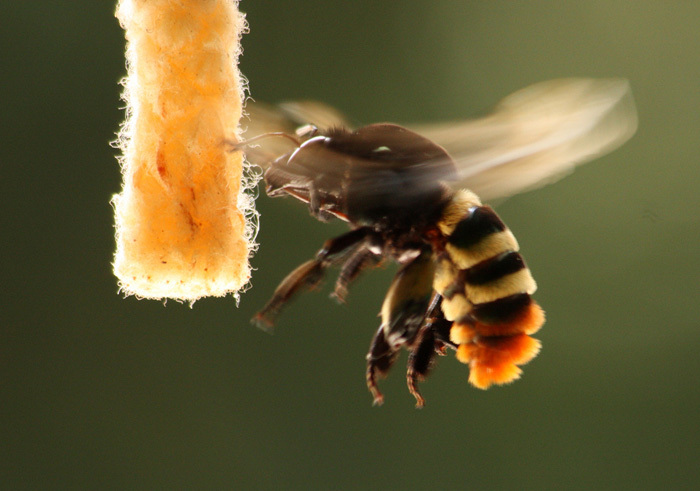 The males of these bees are attracted to strong scents, and they reputedly use these to gather up a group of other males, presumably to display to females. Knowing this, on every field trip to the jungle, I have brought along cotton dental wicks and clove oil. These would serve well should we need to numb a broken tooth in an emergency, but the main purpose was to attract orchid bees. Watch closely in the video as this male Eufriesea ornata gathers clove oil with his forelegs, transfers it to his midlegs, and finally tucks the fluid into special spongy tissues in his hind tibiae. 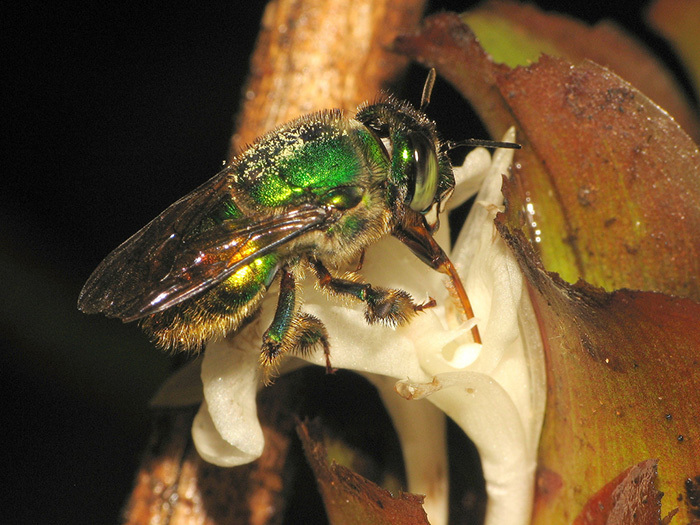 Orchid bees don’t only collect nice smelling scents… They are also attracted to foul smelling substances such as carrion and feces. 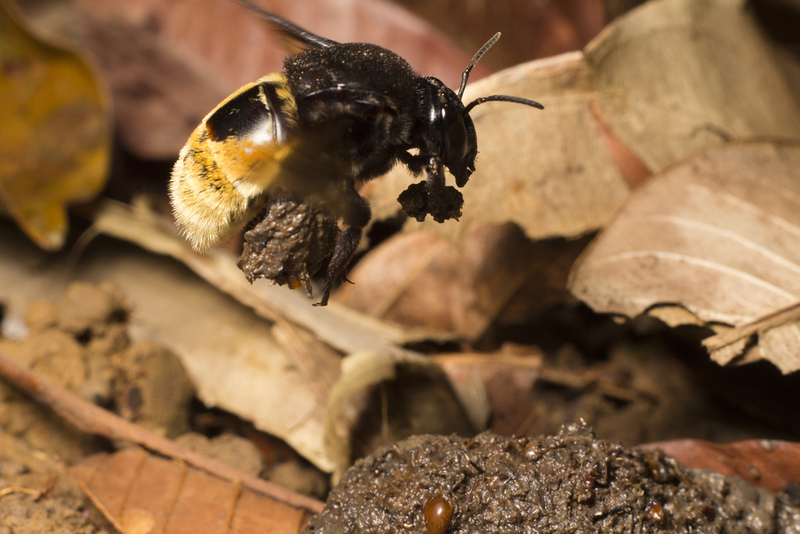 A male orchid bee gathers feces. Canon 60D, EF 50 mm macro, f13, undiffused flash from MR14EX macro ring light. Next time you go to the Neotropics (south Florida included), bring some methyl salicylcate, clove oil, or cineole and attract those bees! Euglossa orchid bees are smaller and metallic green…Also a good look.